Combine onion, potato, vegetable mix, parsley, flour and beaten eggs in a large bowel; mix well. Divide the mixture into 4 portions; flatten to form patties. Heat oil in large heavy-base frying pan; cook patties, uncovered, until brown both sides and potato is tender. 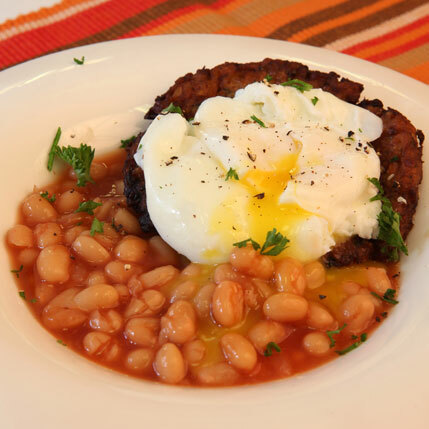 Serve vegetable patty topped with poached egg with baked beans.